Yogesh Kasat and Jilajeet Yadav have come out with a wonderful book on handling Microsoft Dynamics AX Implementation Projects.The book describes about the basics of implementation, common errors, issues and some real life experiences about AX implementation projects. This book appeals to wide range of audience and is very useful guide for DAX implementations. 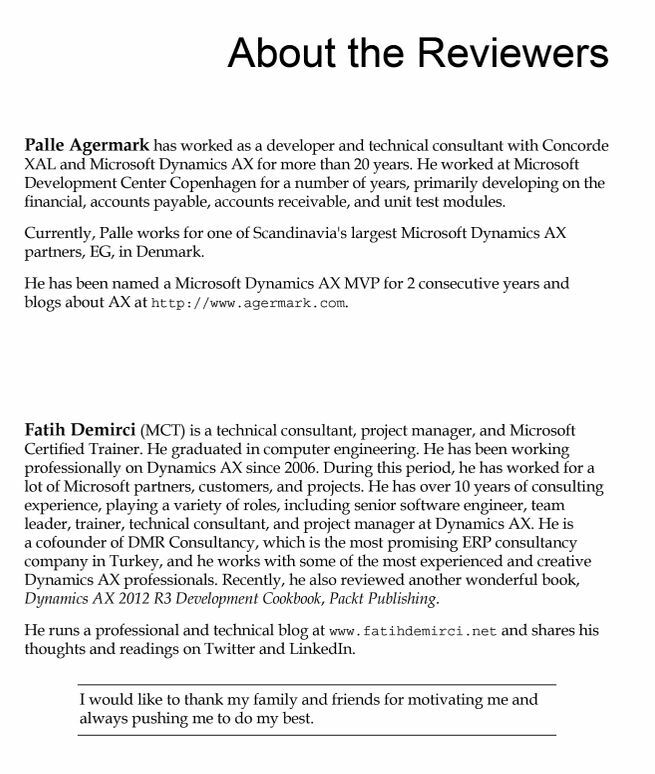 This is my second book that i reviewed recently on Dynamics AX. 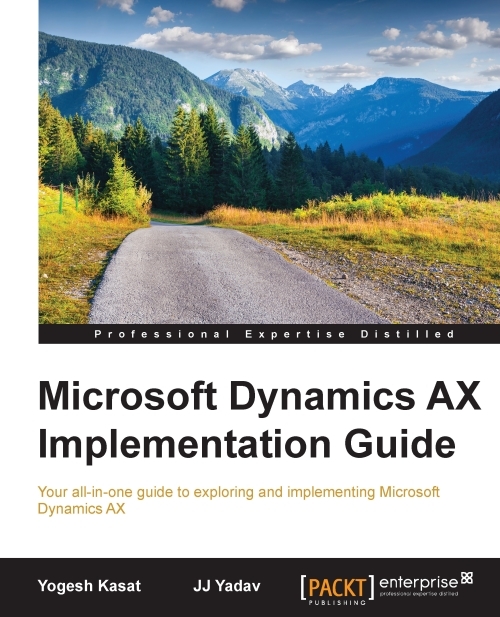 The first was Microsoft Dynamics AX 2012 R3 Cookbook. There are so many differences between reading and reviewing the book. Reviewing is thoroughly investigating the book. All codes should be run and all samples should be tested meticulously. Sometimes, same page should be reread to advise for required optimizations and improvements and to detect errors and bugs. It has been so pleasant and improving activity to study on this comprehensive book. I am so thankful to Packt Publising, Yogesh Kasat and Jilajeet Yadav, one by one, to find me appropriate for this review. I wish them continued success. Here is the page where the riviewers brief biography exists. You can read the article on this book here on Posts By Yogesh Kasat on LinkedIn or Dynamics World. The book is available to be bought on Amazon, Packt Publishing, and other major places, both as an e-book or a hard copy.